The next appearance of Man-Bat after his fall from grace in Batman 342 & 348 was in another two-page poster in DC Comics Presents. 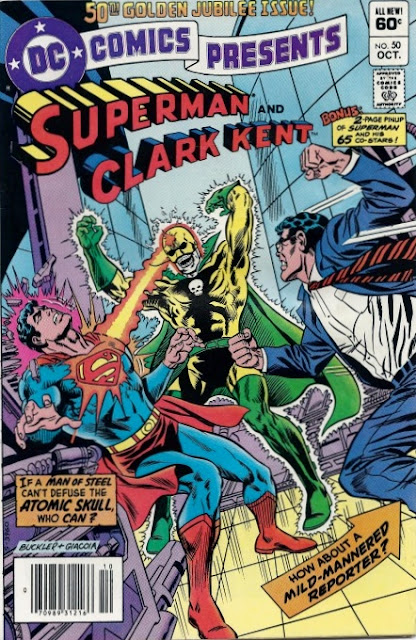 This time, it was drawn by Alex Saviuk and Frank Giacoia and was in the middle of DC Comics Presents #50. 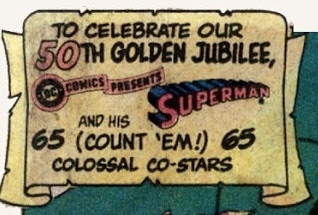 It was a year earlier (exactly) that DC Comics had included a two-page poster of Superman and his co-stars before (in DCCP #38). That time it was because DC Comics had increased its pages and needed something to take on the extra two pages. This time, the two-page poster is more of a clear celebration of Superman and his co-stars. 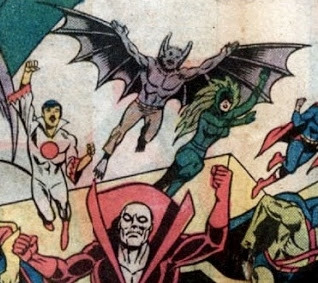 And look who's there back and center behind Deadman.....Man-Bat! There's Kirk Langstrom in all of his huge wing-span greatness flying next to two of the Global Guardians, Red Sun from Japan and Green Flame from Brazil (who later became Fire from Justice League International). And look, this time Aquaman (who missed out on the previous poster) is right there in front!! 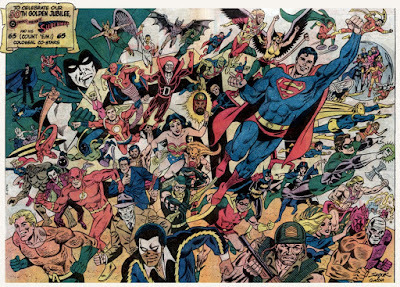 Clearly somebody at DC heard that George Perez had left him off in DCCP #38! 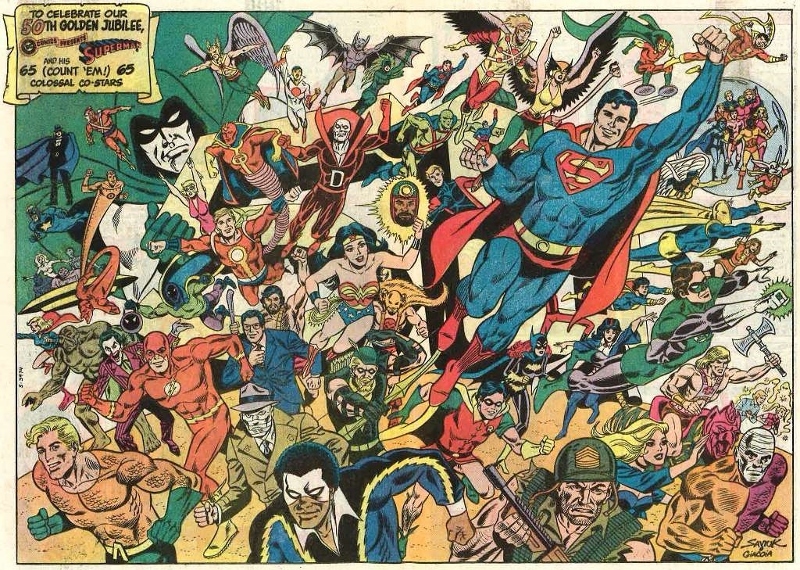 Was this poster reprinted in Showcase Presents DC Comics Presents: The Superman Team-Ups Vol. 2? If you have a copy of that book and could let me know I would greatly appreciate it. I would like to think that it would be reprinted there, but cannot verify. JL#47: "Night of the Living Dead!"